Will house prices stay stable or are they set to take a tumble? Brexit continues to cast varying degrees of doom and gloom on UK economic growth and productivity and, as a result, the housing market is also feeling the effect. Reports at the tail-end of 2017 indicate that property prices rose by 2.5% over the year, but by November price trends had flattened out. According to RICS’ latest UK Residential Market Survey http://www.rics.org/uk/news/news-insight/press-releases/activity-remains-subdued-in-uk-housing-market-with-little-improvement-anticipated/ , demand has quietened down and there is little to indicate that the situation will change in the new year. Predictions of property price rises in 2018 vary between 1%-2% according to leading estate agents, whilst others outside the housing industry are a little more positive in their opinions. PwC believes that prices will rise annually by an average of 4% over the next few years and the Independent Office for Budget Responsibility predicts a rise of 3.1% in 2018. The outlook sees a change in the north-south divide, with the northwest of England likely to experience the biggest regional increase at 18.1%. Meanwhile, the south looks to be suffering somewhat, especially in London. Strutt & Parker are pessimistic in their view of the future for the London housing market. This particular estate agency thinks that London prices will be static at best, but could also drop by as much as 5% – a situation that could stagnate for several years. 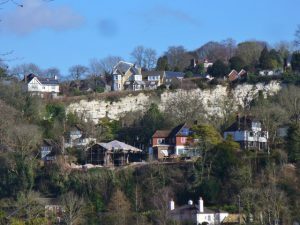 The recent budget included the scrapping of stamp duty for first time buyers, so this might create a little uplift in prices on the outskirts of London and within the M25. New instructions in the pipeline seem to be down, presumably due to people preferring to sit tight during our current state of economic uncertainty and partly due to a general shortage of new homes becoming available. It means a rather dismal outlook for anyone hoping for choice if they are looking to buy. Equally, the downturn in prices in the south might just mean that a lucky few are able to bag a relative bargain if they happen to be looking in the right place at the right time. We can only hope that Theresa and her gang sorts out the Brexit situation soon and that we can all stop holding our breath. Then we can all get back to business as usual, the economy can recover and the housing market become more buoyant. If you're buying a property in London, Surrey, Hampshire, Middlesex, Herts or the Home Counties, call us today on 0800 980 3113 to book your Home-Approved building survey. © 2019 Home-Approved Surveyors Ltd. All Rights Reserved.